Annual Awards aimed at building a pool of outstanding role models for the youth and promoting integrity and courage. 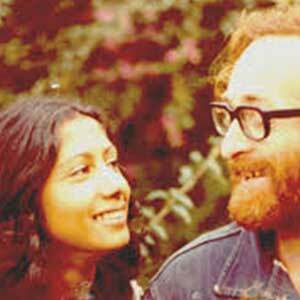 Mahatma Gandhi International Award for Reconciliation and Peace. This award was created in 2003 and over the years many prominent people, local and international have been presented with this award. There were two reasons for the creation of this award. One to recognise people who have done exceptionally good work with integrity and resilience in reconciliation and peace building and two to document their work for posterity to learn from their example as important and significant role models. But the award was also created to mark the 100th anniversary of the commencement of Mahatma Gandhi’s first newspaper in South Africa, the Indian Opinion. In 2016 this Award was presented to Dr. Bernard LaFayette Jr. of Atlanta Georgia in recognition of his work towards the promotion of peace, reconciliation and justice, locally and internationally in his capacity as a Civil Rights Activist. GDT recognized the important work that he had done and continues to do over many years in promoting nonviolence. Under his leadership the American Civil rights movement blossomed. He worked with Dr. Martin Luther King Jr., led the youth demonstrations and later the Nashville demonstration for the right to vote. This led to him being subjected to his imprisonment. But the harsh conditions of prison life did not deter him, his spirit did not wane. He continues to work all over the world promoting nonviolence. These awards were introduced in 2006 to mark the centenary of Satyagraha. They are presented annually to South African individuals in recognition of their contribution towards both the liberation of our people and for the values that informed them in their quest for human rights and social justice for all.. In 2016 there were 6 recipients of this award. the cabinet at that time. 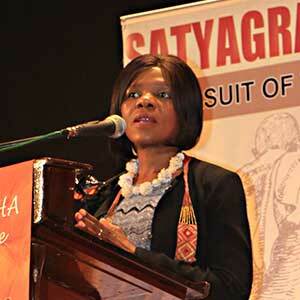 The second Satyagraha Award was presented to Advocate Thuli Madonsela who was about to complete her term as South Africa’s Public Protector. This award was in recognition of the tremendous contribution she made in her role as Public Protector. Her integrity, commitment and courage in the pursuance of human rights as enshrined in our constitution earned her great admiration. We recognised that, despite the many challenges, she has continued to traverse the path of truth and righteousness. She has shown tremendous resilience and courageously tackled the most difficult situations with integrity and fairness. We recognize the role she plays not only as a strong woman but as an advocate of justice. The third Award was presented posthumously to the late Dr Richard Albert David Turner and Foszia Turner-Stylianou accepted the award. Dr Turner was a lecturer in Political Science at the then University of Natal. This award was in recognition of the contribution and courage shown by him in the work towards the transformation of South Africa from a racist capitalist society into a social democratic society based on non-racialism. Despite the many challenges during the dark days of apartheid he continued to work towards changing young minds to accept that they had the strength to change society if they worked hard towards that objective. Richard Turner worked hard and was so effective that sadly the apartheid government chose to end his life prematurely when he was assassinated in 1978 at the age of 37. The fourth Award was presented to Dr Jairam Reddy who was Vice Chancellor of the University of Durban Westville where he initiated the process of transformation of Tertiary institutions. He had just retired from his position as Chairperson of the Council of the Durban University of Technology. This award was in recognition of the work he has done and continues to do towards the transformation of the tertiary education sector in South Africa. In his various academic positions he continued to pursue the cause of academic freedom, to upgrade higher education, uphold justice and protect human rights as enshrined in our constitution.In recognising that education is a corner stone to achieving real freedom he worked hard to ensure the highest quality of education for all. He continues to work with a group of DUT students to build strong leadership among youth. 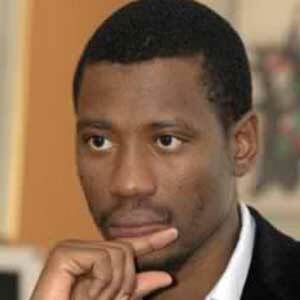 The fifth Award was presented to Mr Shaka Sisulu, the youngest awardee. He is a youth leader who promotes programmes to encourage youth to engage in constructive work. This award was in recognition of the outstanding contribution made by him and his family in the task of transformation of South African society. 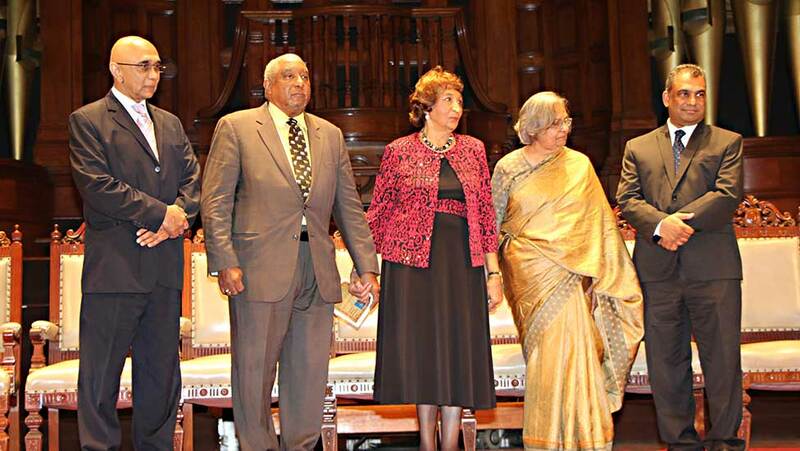 His work towards building a united South Africa based on the principles of the Freedom Charter was recognized. Despite many obstacles he has continued to uphold the proud legacy of his grandparents. He has displayed both outstanding leadership and courage in advocating for transformation of society towards a non-racist and non exploitative society. 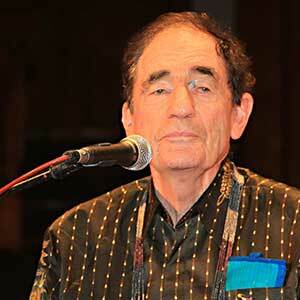 The sixth award was presented to Judge Albie Sachs, retired Judge of the constitutional court. 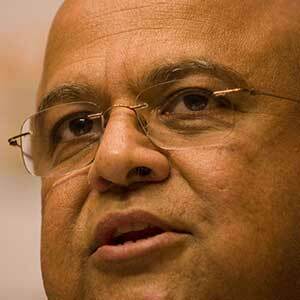 He continues to promote a strong constitutional democracy in South Africa. He played a pivotal role in developing South Africa’s constitution. 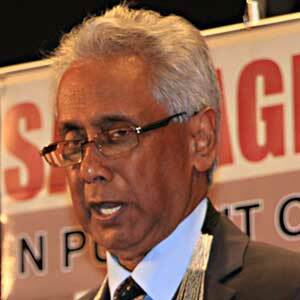 He has authored many books and is an honorary Bencher of Lincoln Inn, member of the Appeals Commissions of the International Cricket Council, Head of the Panel that chose the design for the logo for the 2010 Soccer World Cup, recipient of many prestigious awards including the Order of Luthuli for excellent and selfless dedication to human rights activism and the struggle against apartheid. He narrowly escaped death when he received a letter bomb during the apartheid days. These South African men and women of integrity and courage make up the rich tapestry of South Africa’s glorious history.